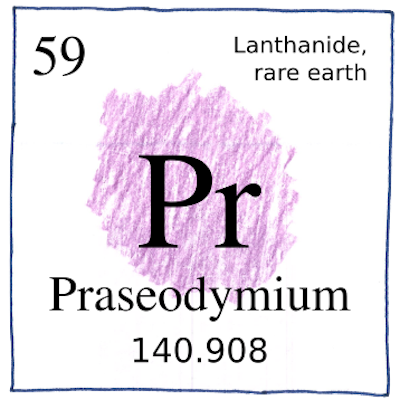 Carl Gustaf Mosander had extracted the oxide of lanthanum from cerium, and called the pinkish residue as didymium, from the Greek word for “twins,” because of its similarity to lanthium. Paul-Émile Lecoq de Boisbaudran had already separated samarium from this residue, and Jean Charles Galissard de Marignac had separated gadolinium from it. Later, Eugène-Anatole Demarçay separated europium from Lecoq’s samarium.